This service, also known as demand response, is available in the rural transit district. Curb-to-curb service is the standard level of service, with door-to-door service available on request for Seniors and individuals with disabilities. 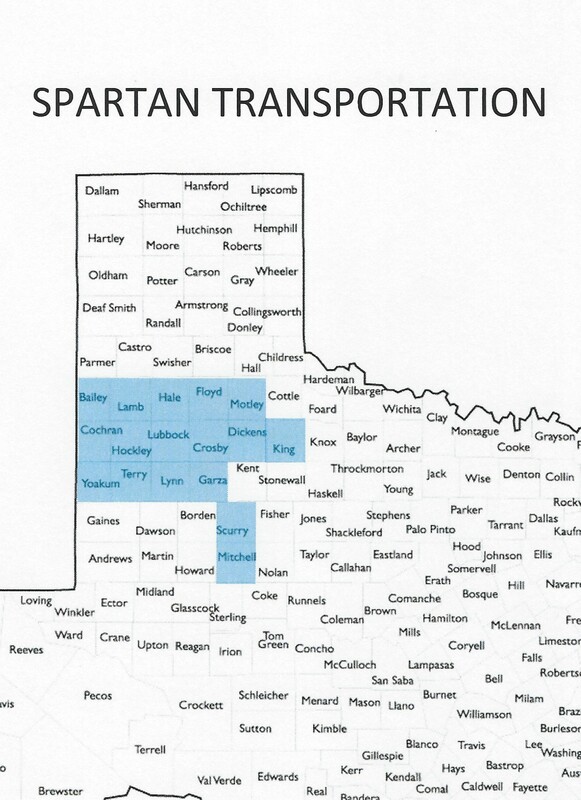 There are no eligibility requirements to ride any of SPARTAN’s public transportation services. All passengers must make reservations at least 24 hours in advance. Reservations are honored on a first call, first-served basis based on the availability of a driver and vehicle. At the time the trip is requested and confirmed, passengers are given a pre-determined pick-up time. SPARTAN strives to pick up passengers within 15 minutes of their scheduled time. Passenger fares must be paid for all trips. 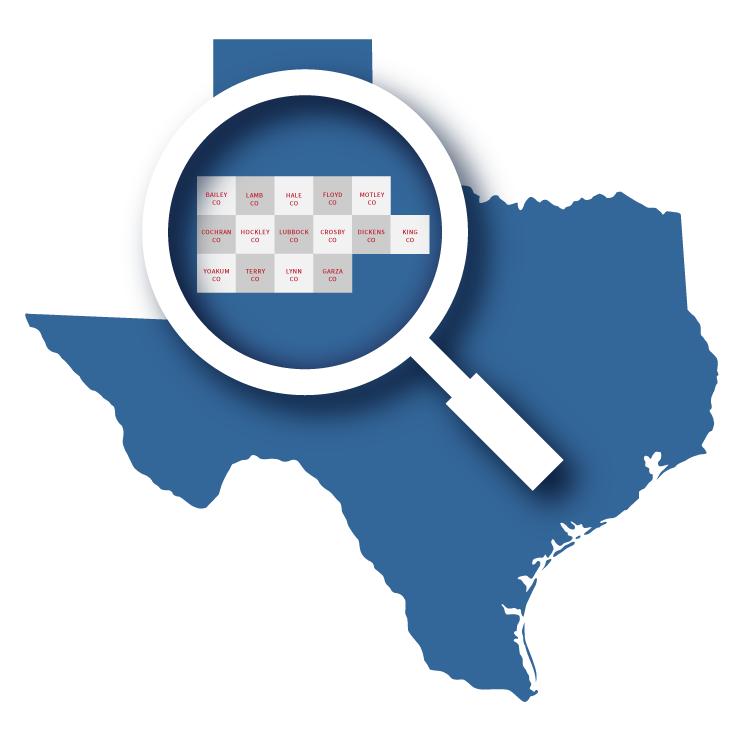 Individuals who qualify for various Federal or state programs may qualify to have their fare fully or partially subsidized by one of the following: Medicaid, Choices, TANF, WIA, Senior Companion, Victims Assistance programs, Texas Rehabilitation, CEAP, Community Services Block Grant, South Plains Rural Health Services, and others. Visit SpartanPublicTransit.com to learn more.